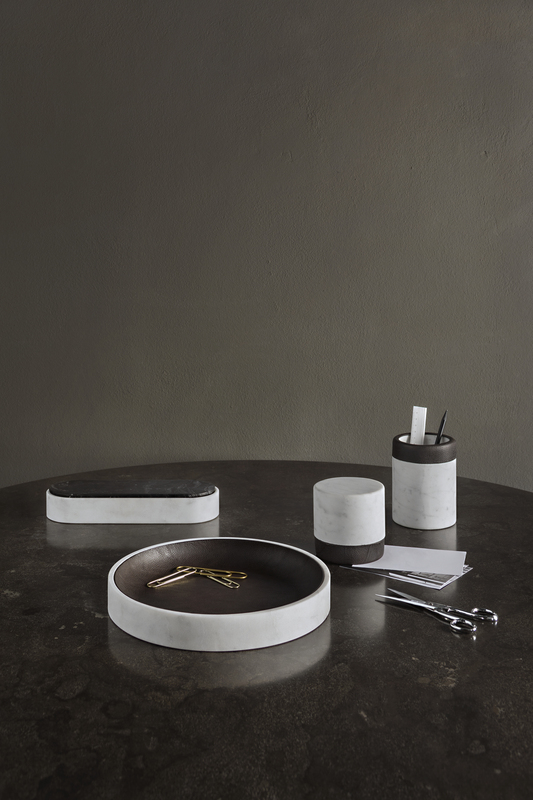 The idea of the collection is the play of contrasts between the two implemented materials: marble; a hard, heavy and cold material and leather; a soft, warm, tactile material. We wanted to reinforce this idea by using contrasting colors: white/black or white/green. Formally, we wanted to keep specific shapes very geometric and essential, which again contrast with the interiors of leather much more rounded and then soft.